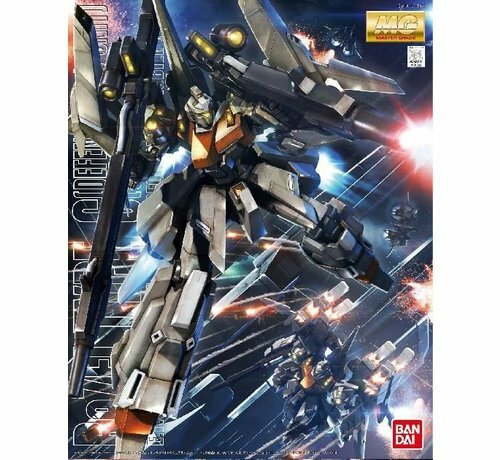 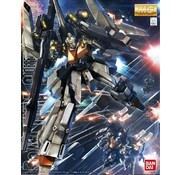 This is a Gundam Master (MG) Grade: ReZEL Type-C (Defenser A+B Unit/GR) plastic model action figure kit by Bandai Hobby. 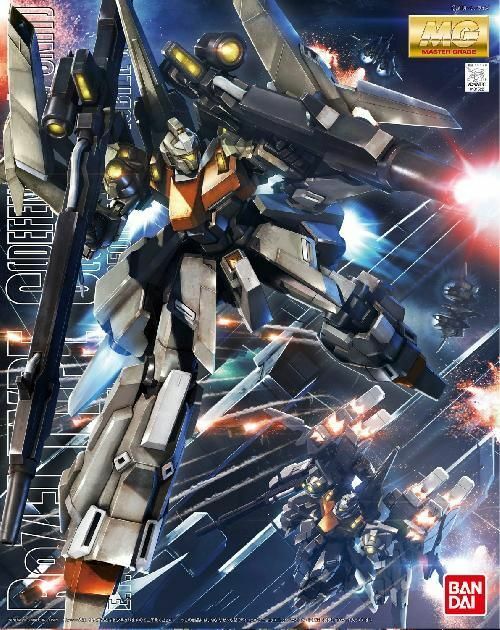 - Redesigned by the engineers of the battleship General Revil, the ReZEL C is a retrofit of the classic ReZEL! - From Gundam UC episode 6, the General Reville's custom artillery-based retrofit of the ReZEL is equipped with a missile system and heavy cannons, is colored in the General Revil gray and orange scheme.